Fan-favorite Ice King steps into the spotlight! Ice King might be the pro when it comes to kidnapping princesses but he finds himself on the other side of things when he wakes up to find his faithful companion, Gunther the penguin, has been taken! 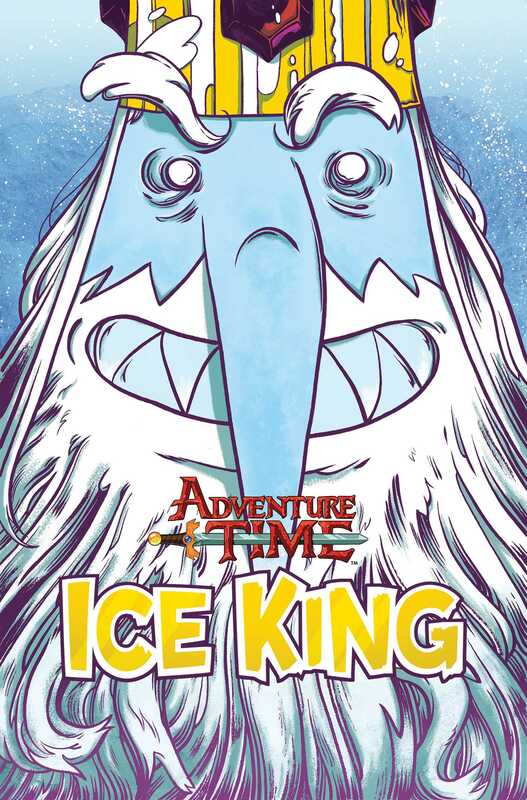 It’s a high flying adventure as Ice King looks for help in the wackiest of places, tries to be cool, and learns something new about himself along the way. Adventure Time storyboard artist Emily Partridge and writer Pranas Naujokaitis (Uncle Grandpa) weave an enchanting tale about friendship and understanding with illustrations by Natalie Andrewson that show the beauty behind ice puns.